InfoComm (now known as AVIXA) is the premier brand experience for the audio visual industry. 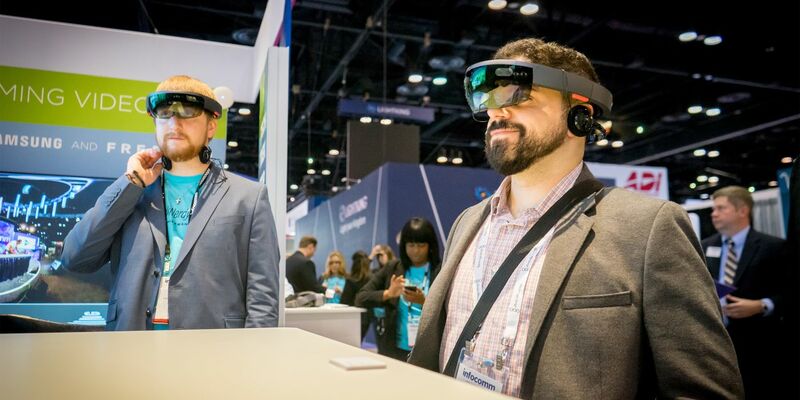 Its latest event boasted 1,000 exhibitors and 40,000 attendees from 100 countries, all in 545,000 square feet of exhibit space and 24 audio demo rooms. Always serving its audiences with the best and latest tech, the association sought to showcase virtual reality, not as a vogue attraction but as a practical yet effective solution for many verticals. 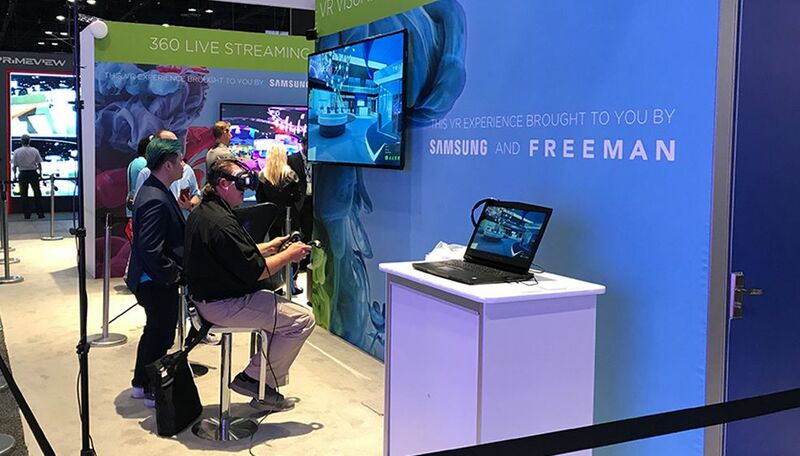 InfoComm entrusted Freeman to display VR in its many capabilities, due to our established experience with the technology and its application in varied fields, including entertainment, education, healthcare, and more. 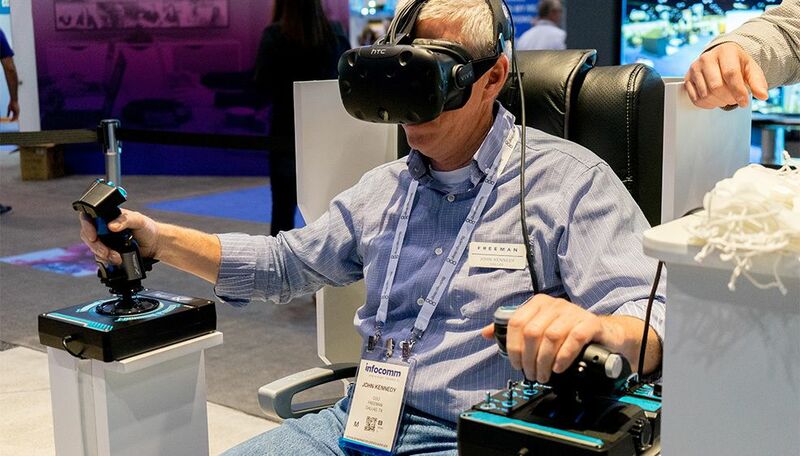 We partnered with Samsung to produce the Immersive Technology Experience: a sophisticated pavilion where attendees could experience VR in flexible but immersive ways that related to their own professions and interests. The Immersive Technology Experience explored a full range of VR solutions, including augmented and mixed reality. From stunningly realistic simulations of a NASA spacewalk or a jetfighter flight, to touring a photorealistic European apartment for designers, to optimized 3D models of the human anatomy for healthcare practitioners, Freeman continually offered a full range of hands-on demos and walkthroughs in various industries that also included education, architecture, public safety, and more. The VR display was the most visited exhibit at the show, with more than 900 visitors on the first day and almost 2,000 visitors by the end of the third day. 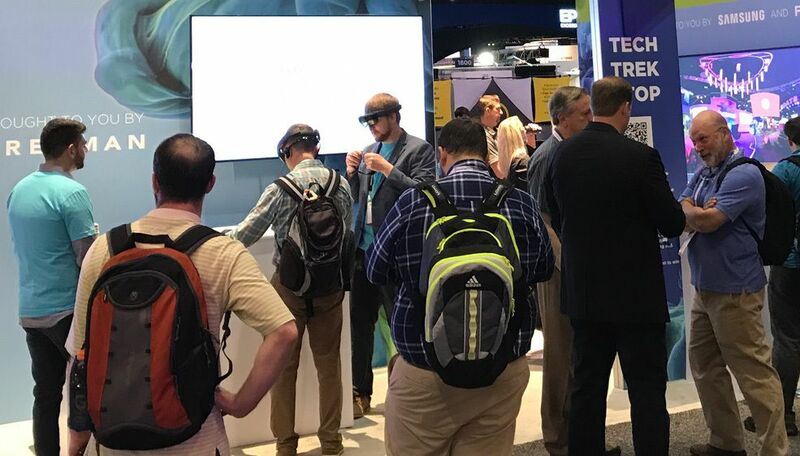 Considering the hundreds of brands present — including some of the largest companies in the world — all competing for the attention of a record-breaking 40,000+ attendees, the percentage of visitors to the Immersive Technology Experience was a huge achievement and a key part of the success of InfoComm.